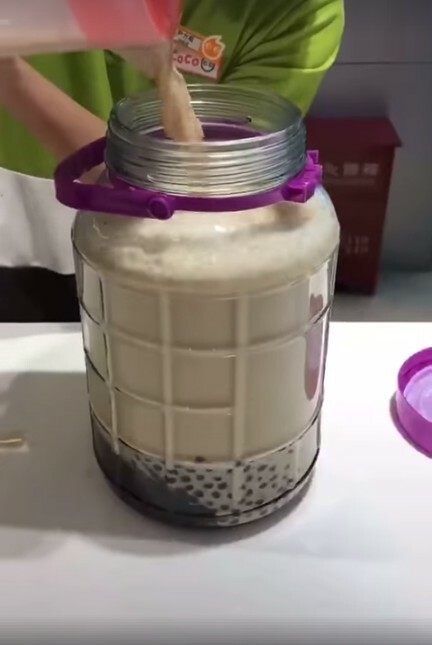 We know that bubble tea craze has been going on strong for quite some time and fans of this sweet drink just can’t seem to get enough of it. 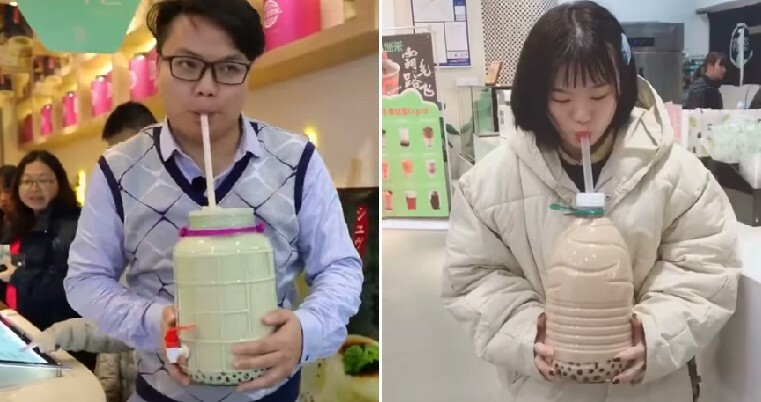 This drink is so popular that it has even spread to Western soil but recently, a video has been going viral on social media as it appears that Chinese netizens have been taking their love for bubble tea to the next level. 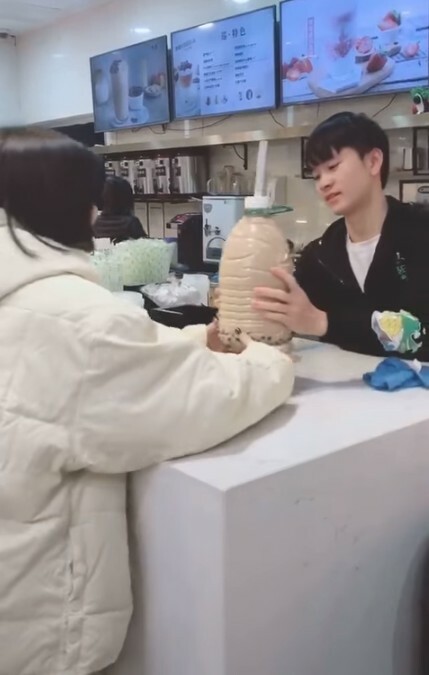 In what appears to be a compilation of Tik Tok videos or challenges, the footage shows several netizens taking a huge container to bubble tea shops and plunking it down on the counters. 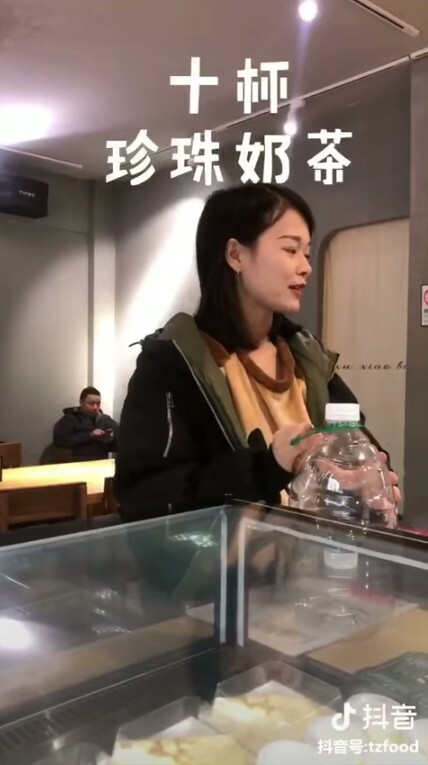 They would then tell the bewildered cashiers that they want to fill up the container and usually ask for 10 cups of bubble tea to be poured inside. OMG, 10 cups at once? 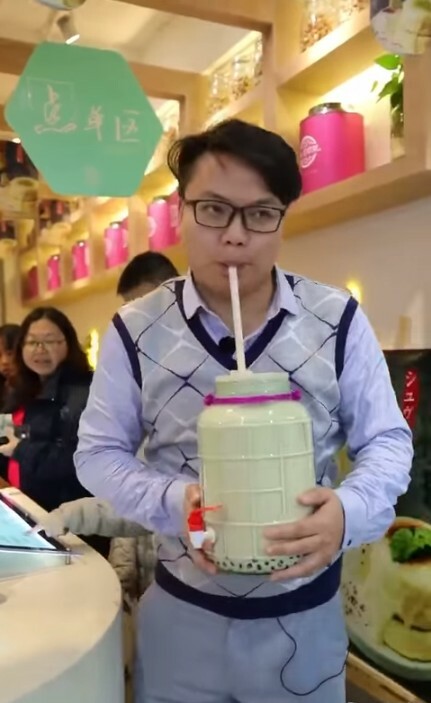 The video also mentions that this way of drinking bubble tea is not for everyone, only those who are really crazy about it and well, it certainly looks like it! 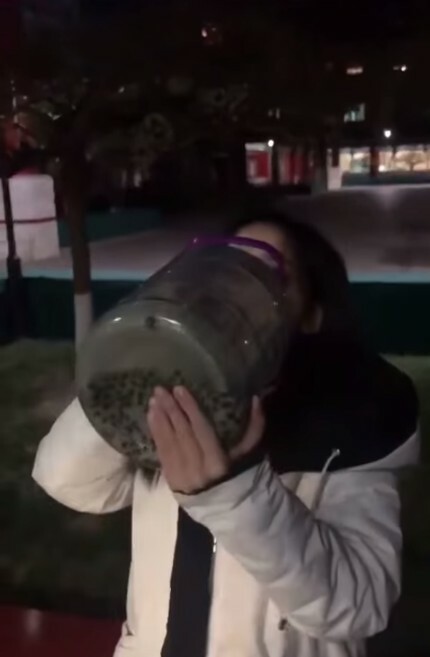 One part of the video shows a girl who looks like she actually managed to finish the whole container and is happily eating the boba at the bottom. One ingenious guy takes one of those drink dispenser containers for his beloved milk tea and casually sits by the riverside while enjoying his beverage. 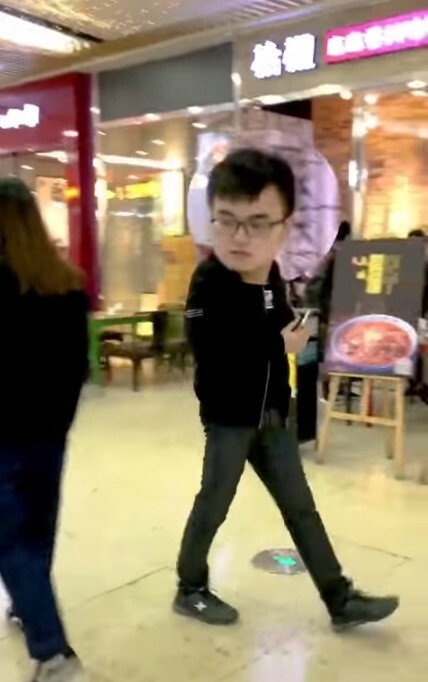 Other netizens who saw the video were tagging their bubble tea lover friends and asking them to do the same. Some of them also said that the people who drank the whole container would probably end up in the hospital or get diabetes. 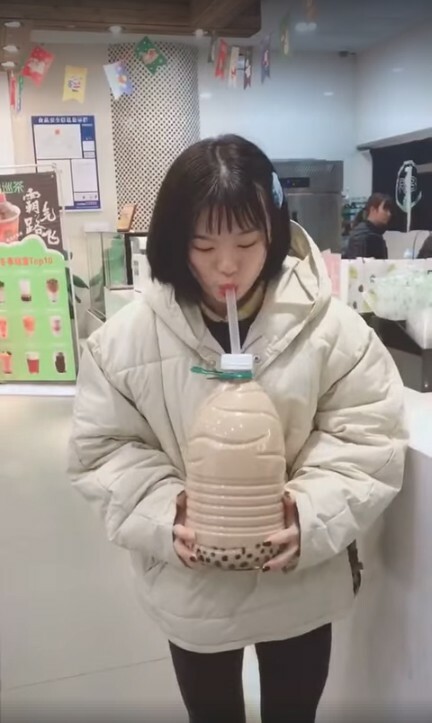 What do you think of this bubble tea drinking method? Would you want to try this too? 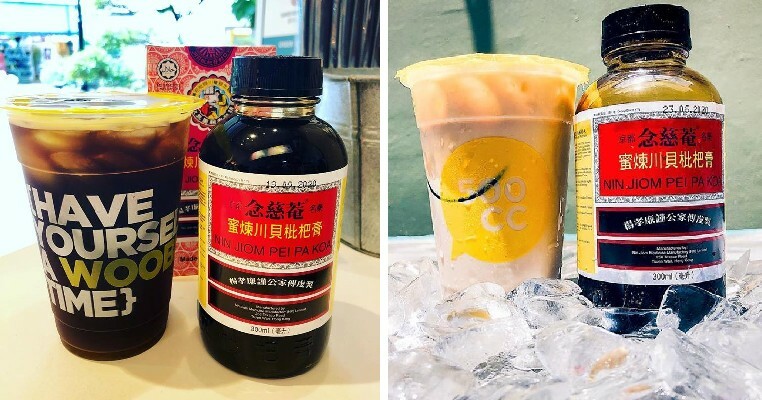 Also read: Cough Syrup Bubble Tea is Actually Available in Singapore For RM12.50!